Secure stoplock on your wire display hook and save money by deterring theft! 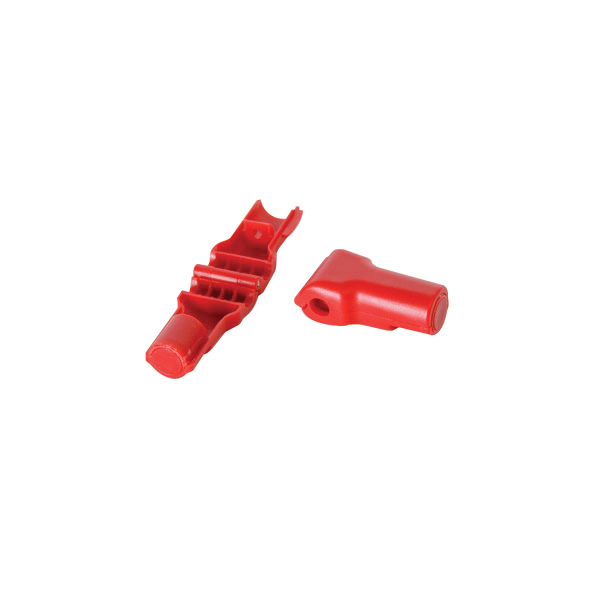 The bright red color of the peg hook stop lock provides visualization throughout your display line to inform the customer that product is locked. Unlocking and controlling inventory is quick and easy with available Magnetic Detacher (item number 4882). The peg hook stop lock works on display hooks with stem diameters up to .224" thick with or without the ball on the end. For further offerings, we invite you to take the opportunity to explore our comprehensive inventory of peg hooks for slatwall at Specialty Store Services now.